The Babylo Classic Fireguard protects your child from the dangers associated with fires and fireplaces. 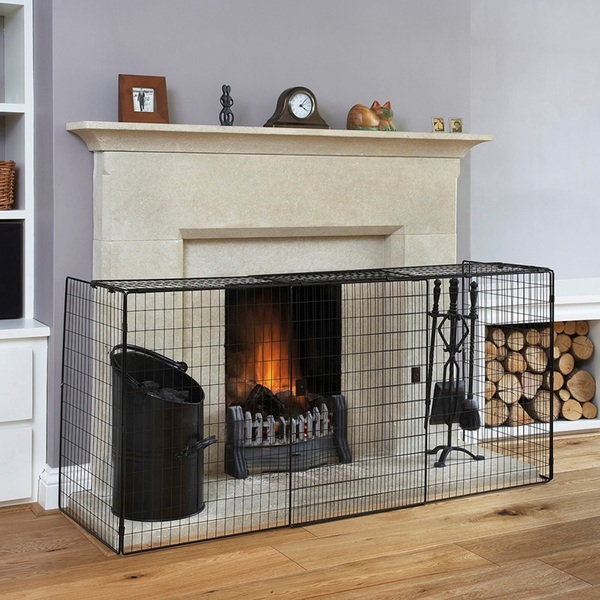 Extending from 97-167cm, this baby safe fireguard fits fireplaces up to 1.6 metres wide. Safety comes first. Whether your fire runs on gas, electricity or solid fuel, the Babylo Classic Fireguard provides the protection you need. The hearth is enclosed from every angle, complying with safety regulation BS8423:2010. This secure fireguard can be fixed to the wall for complete protection. The wide door section allows adults to tend the fire, and locks securely to prevent little ones from hurting themselves. The Babylo Classic Fireguard is easy to assemble and set up. The high quality materials and durable construction help to protect your family for years to come.